Casey Stengel was a famous Athlete from USA, who lived between July 30, 1890 and September 29, 1975. He became 85 years old. 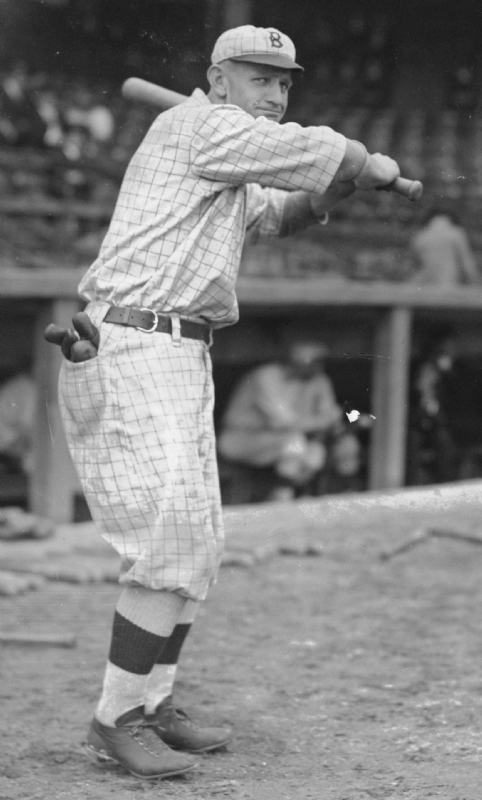 Charles Dillon "Casey" Stengel (born July 30, 18901, and died September 29, 1975) was a popular baseball player and a manager with the New York Yankees. He received the nickname "Casey" from Kansas City, Missouri, where he was born. In these early years he was also known as "Dutch," a popular nickname at the time for Americans of German descent. He is born under the zodiac leo, who is known for Ruling, Warmth, Generosity, Faithful, Initiative. Our collection contains 42 quotes who is written / told by Casey, under the main topic Funny. "Most ball games are lost, not won"
"All right everyone, line up alphabetically according to your height"
"Ability is the art of getting credit for all the home runs somebody else hits"
"You have to have a catcher because if you don't you're likely to have a lot of passed balls"
"You have to go broke three times to learn how to make a living"
"You gotta lose 'em some of the time. When you do, lose 'em right"
"You gotta learn that if you don't get it by midnight, chances are you ain't gonna get it, and if you do, it ain't worth it"
"You got to get twenty-seven outs to win"
"Without losers, where would the winners be?" "When you are younger you get blamed for crimes you never committed and when you're older you begin to get credit for virtues you never possessed. It evens itself out"
"Two hundred million Americans, and there ain't two good catchers among 'em"
"They told me my services were no longer desired because they wanted to put in a youth program as an advance way of keeping the club going. I'll never make the mistake of being seventy again"
"The Mets have shown me more ways to lose than I even knew existed"
"The key to being a good manager is keeping the people who hate me away from those who are still undecided"
"Sure I played, did you think I was born at the age of 70 sitting in a dugout trying to manage guys like you?" "Son, we'd like to keep you around this season but we're going to try and win a pennant"
"Oldtimers, weekends, and airplane landings are alike. If you can walk away from them, they're successful"
"Never make predictions, especially about the future"
"Most games are lost, not won"
"The team has come along slow but fast"
"They say Yogi Berra is funny. Well, he has a lovely wife and family, a beautiful home, money in the bank, and he plays golf with millionaires. What's funny about that?" "There comes a time in every man's life, and I've had plenty of them"
"Managing is getting paid for home runs that someone else hits"
"It's wonderful to meet so many friends that I didn't used to like"
"If you're so smart, let's see you get out of the Army"
"If we're going to win the pennant, we've got to start thinking we're not as good as we think we are"
"I was such a dangerous hitter I even got intentional walks during batting practice"
"I was not successful as a ball player, as it was a game of skill"
"I got players with bad watches - they can't tell midnight from noon"
"I feel greatly honored to have a ballpark named after me, especially since I've been thrown out of so many"
"I don't like them fellas who drive in two runs and let in three"
"I don't know if he throws a spitball but he sure spits on the ball"
"I came in here and a fella asked me to have a drink. I said I don't drink. Then another fella said hear you and Joe DiMaggio aren't speaking and I said I'll take that drink"
"Good pitching will always stop good hitting and vice-versa"
"Finding good players is easy. Getting them to play as a team is another story"
"Don't drink in the hotel bar, that's where I do my drinking"
"Don't cut my throat, I may want to do that later myself"
"Been in this game one-hundred years, but I see new ways to lose 'em I never knew existed before"